make it seem as though it is Summer. with some teal mixed in. I found at the thrift store. 25 cents each on 50% of day. They are marked Royal Norfolk. I was drawn by their vintage look. plates at Home Goods last year. purchased several years ago from Target. 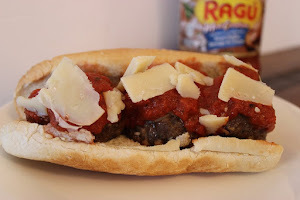 All topped off with a small Corelle bowl. 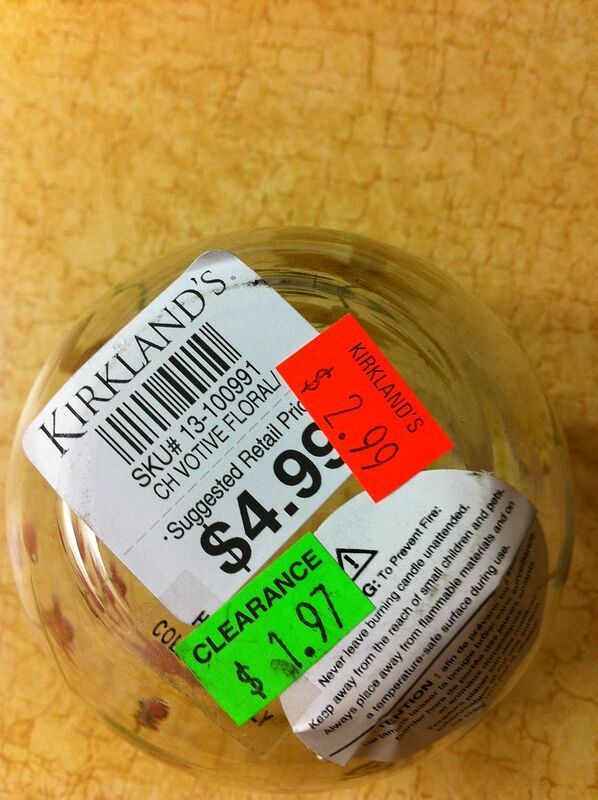 It is another thrift store find. and gave her a fresher look. in my favorite bud vases from Ikea. Real and faux mixed together. and the flatware is from Family Dollar. were a gift from Mr. B. But I will not rush the seasons! For now, in my heart, it is still Spring! That looks very nice. Wish I was coming for dinner. Your spring table is so pretty and elegant! Nice job!! Beautiful and spring like Kathe! I love the pink flowers - so pretty! Love the votive holder you made. 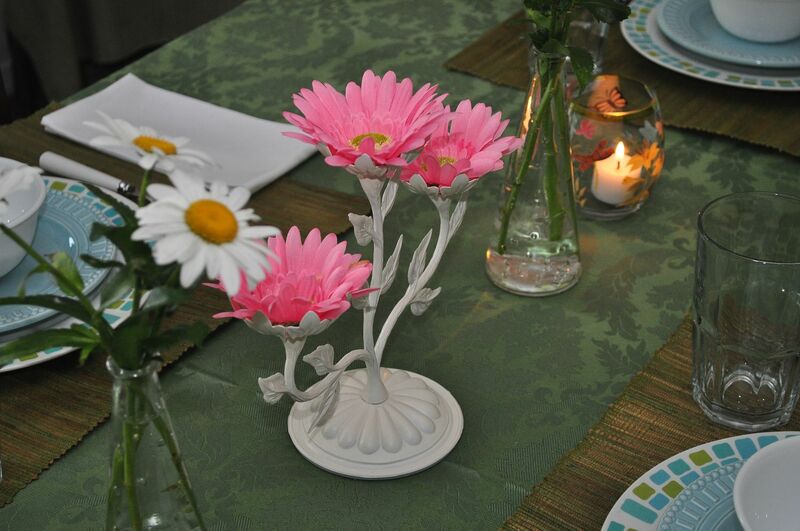 I'm right with you Kathe, I have loved Spring and enjoyed setting my Spring tablescapes. 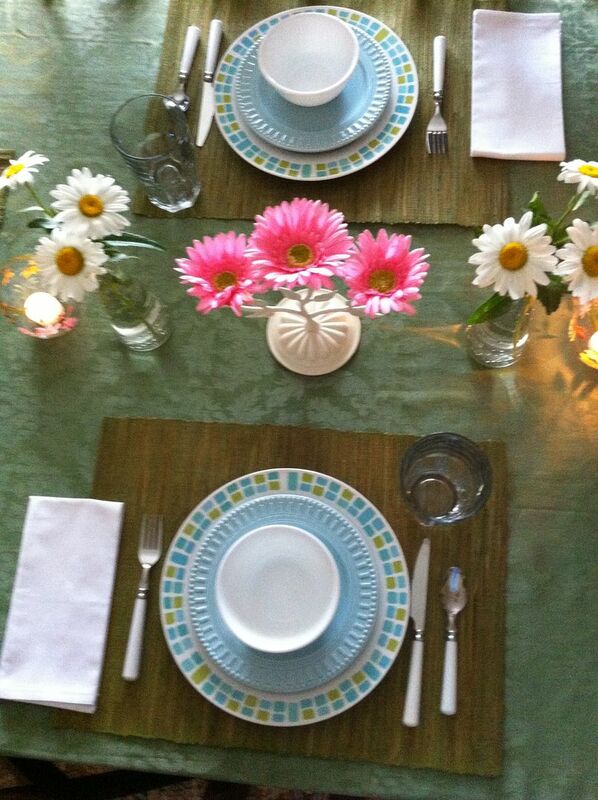 I love the colors you have used in your last Spring tablescape. The daisies from your garden are beautiful too. Guess we have to move on to Summer tables now. It looks so pretty! 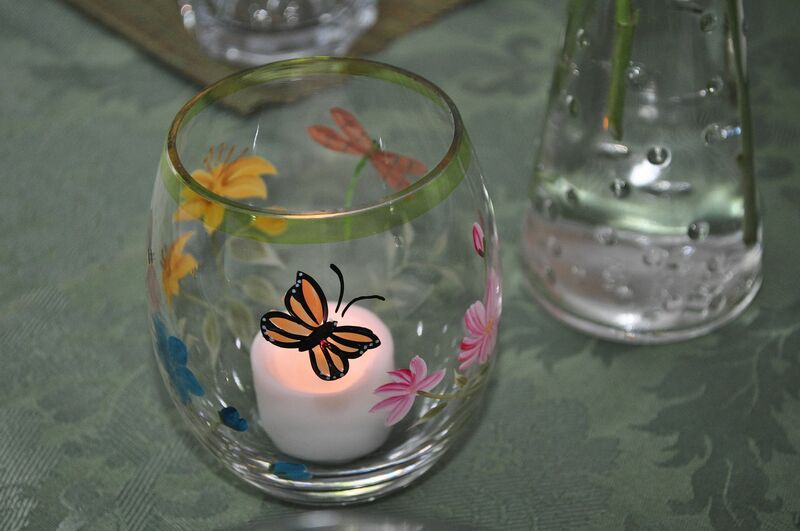 I love the charger plates and the butterfly votives! Have a great week Kathe I am still at Kristas. Pretty! I really like the blue/teal!! 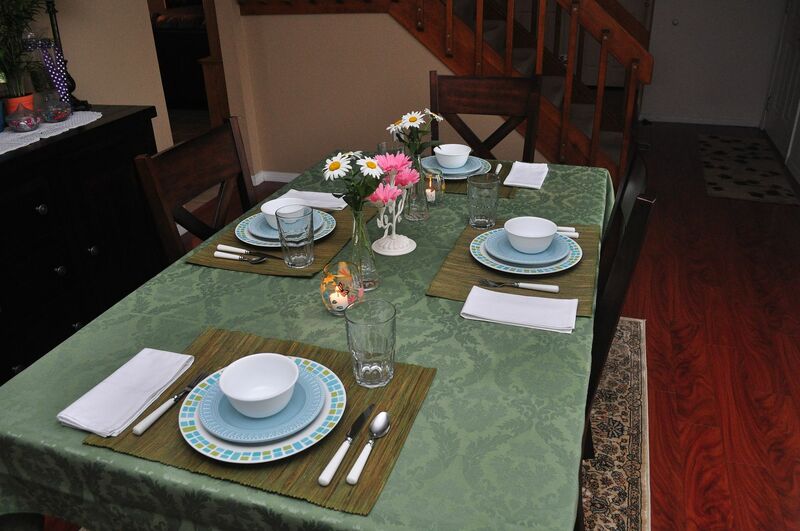 Your tablescape looks so fresh and happy! Great colours and little touches too. Very pretty table! Thanks for sharing at the All Star Block Party. I love anything that's Robin's Egg Blue. 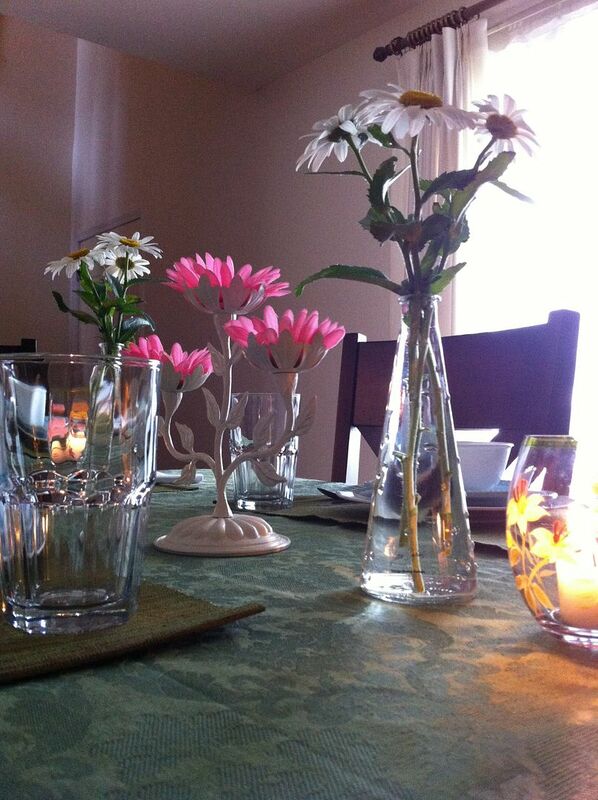 Very pretty, love the vintage looking dishes...the daisies add another smile to your table, Kathe! Looks lovely! Enjoy your last day of spring. It's hard to believe it's already summertime... your last table of spring is so pretty. I loved the flowers! So pretty!!! 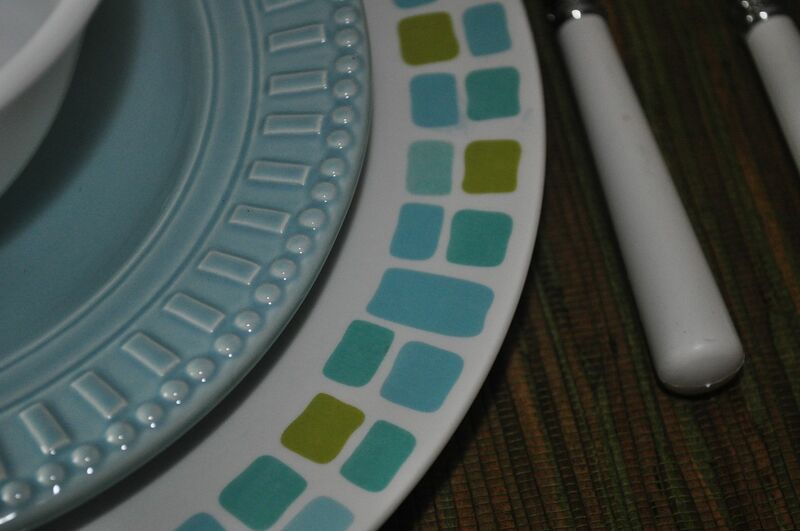 I love all of the little details that make your table settings so perfect!!! Very pretty tablescape. Nice unique touches. Those plates are lovely. The colors are so vibrant. Thanks for sharing! I just found your blog on The Taylor House. 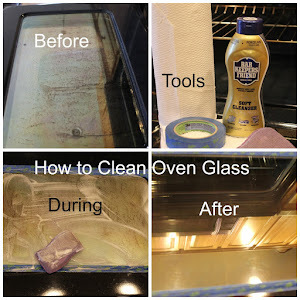 Glad I did- great blog! I love the aquas and teals! Some of my favourite colours. I'm a Spring gal too but Summertime means it's time to go to the beach, so I'm not complaining. Happy Summer and enjoy your weekend. What a beautiful table and I love your frugal finds! The votives are gorgeous! What a gorgeous table. Thanks for linking up. I hope you have a fantastic weekend! What a beautiful table. I love the candlestick holder. Isn't it amazing what a little paint will do? 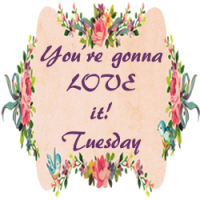 Thanks so much for sharing at Tout It Tuesday. Hope to see you next week. 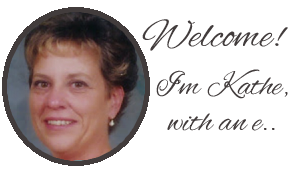 Hi Kathe, Spring is my favorite season also. I am always a little sad to see Summer arrive. Lots of fun in the summer, but I love the renewal Spring brings. Your table setting is lovely. The dises are really fun and I like the colors. My daisies are just about to bloom. Anxious to bring a few inside. Thanks for sharing with Share Your Cup. Very pretty! I'm now following you on pinterest and pinned your beautiful bouquet! You're going to get pulled into Summer clawing and scratching, huh? Me, too! I am just not ready for all this hot, hot weather!!! It makes me grumpy! Your table makes me happy, though! 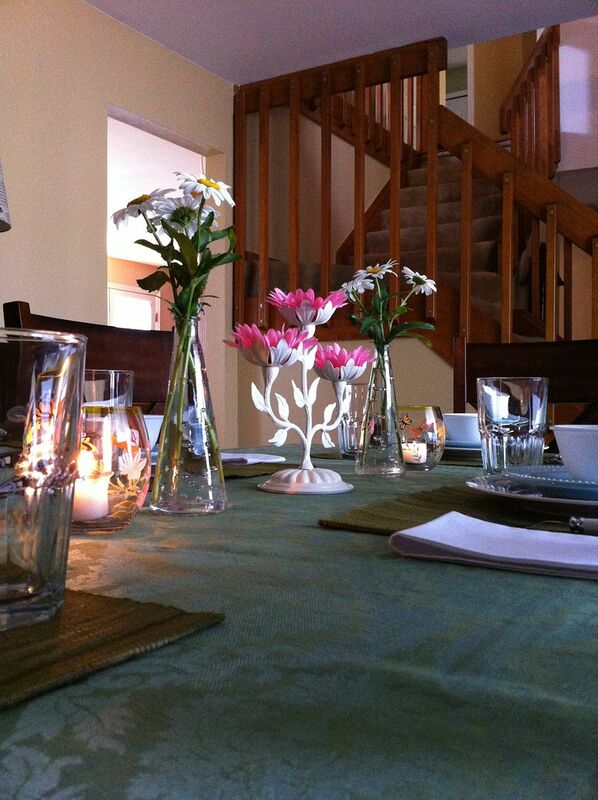 Great idea to spray paint that candleholder (it really DOES do wonders to freshen it up! 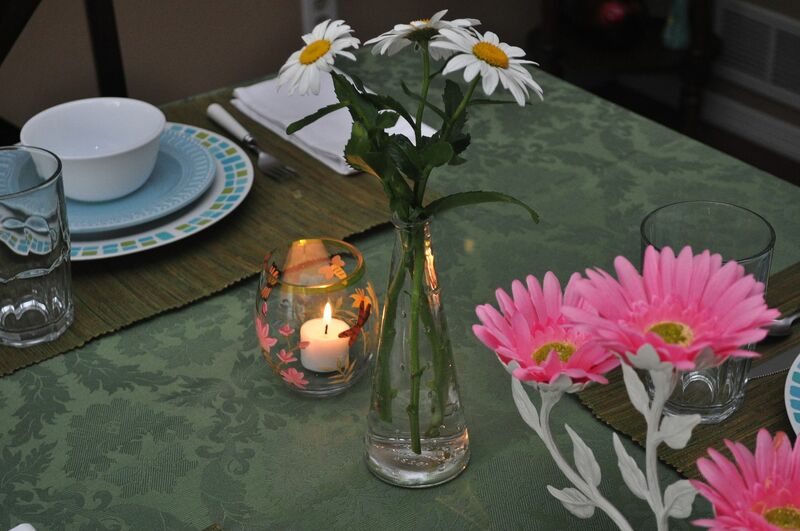 ), and even more clever to top it with flowers rather than candles! Great find on the dishes!!!!!!! What a great look! I love the flowers in the candle stick holders!! Your setting is so fresh looking, and I love that it is not too expensive! Beautiful! 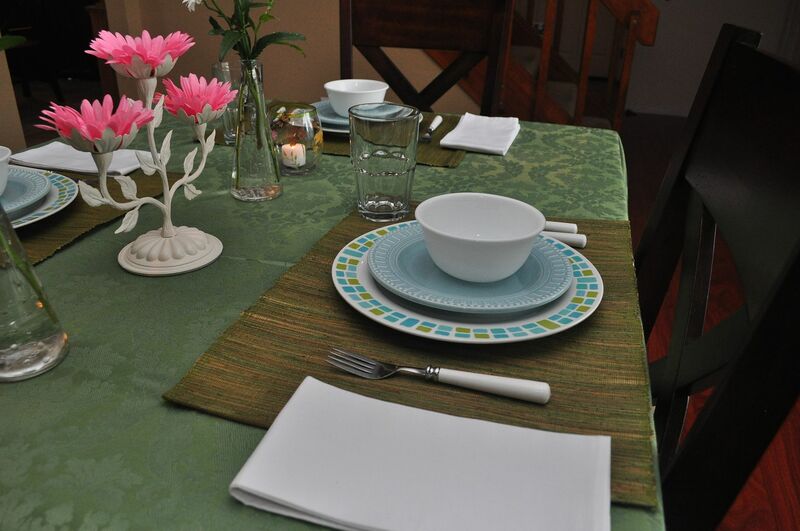 You always do such beautiful tablescapes Kathe. Thanks so much for sharing at Creative Thursday last week. Have a great weekend. 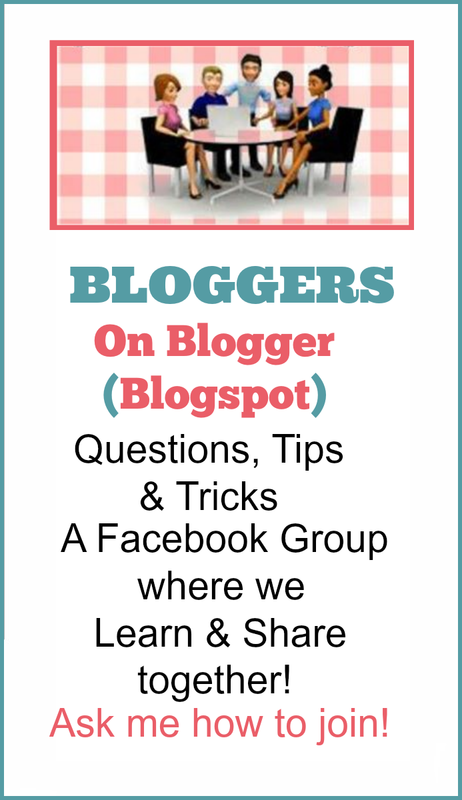 Thanks so much for sharing at Restyled Sundays. I love the vintage thrift store plates! Beautiful, Kathe! I love the way you displayed the flowers in the candlestick holders and the combination of the modern dinner plate with the classic salad plate. Fabulous color palette! Such a beautiful spring table! Love the plates! Gorgeous last of spring table. I am a spring/fall girl myself! 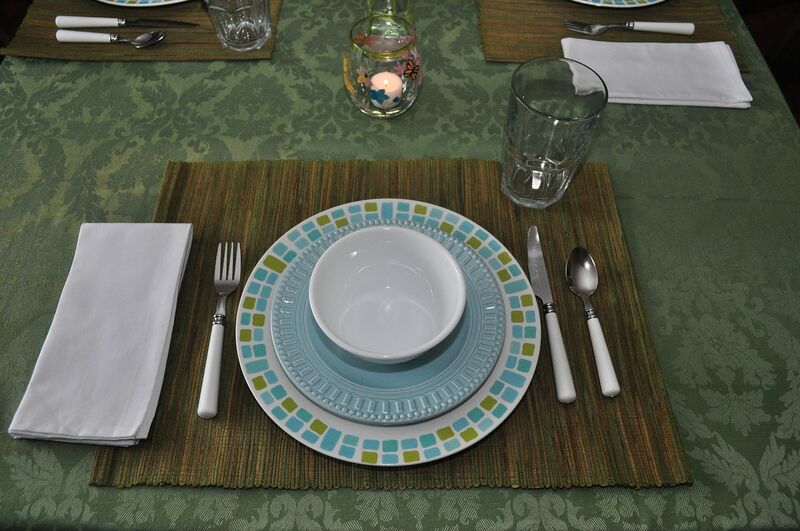 Not liking too much heat - the colors of the dishes are perfect - love the tablecloth! 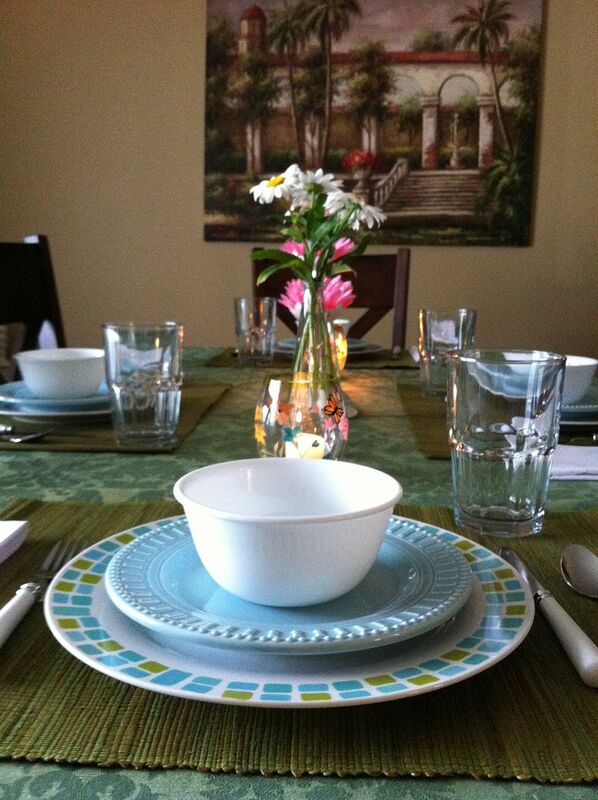 Love the colors Kathe and the plates are gorgeous! Thanks so much for sharing at Mom On Timeout! What pretty plates! Love this tablescape. 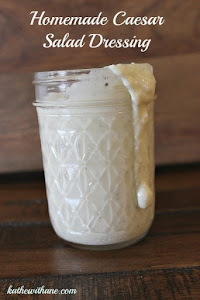 Thank you for linking up on Fabulous Friday at Faith, Trust & Pixie Dust.